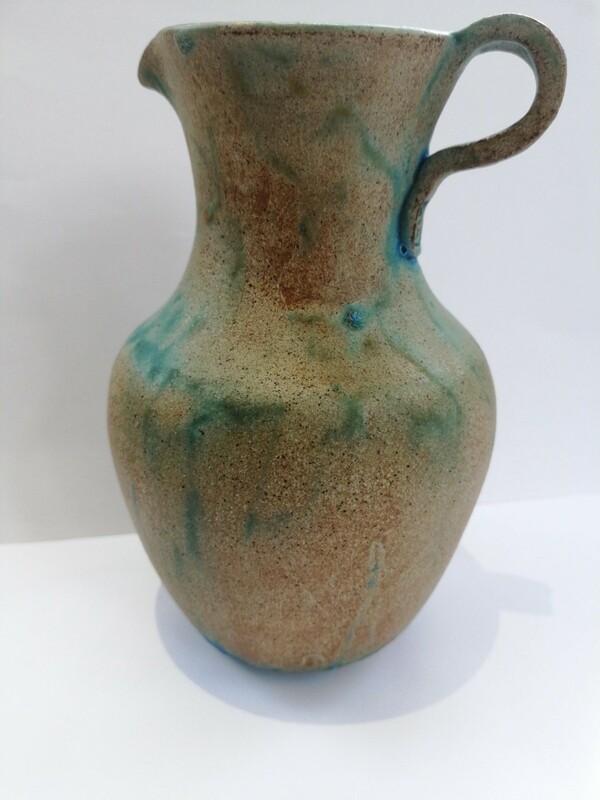 Turquoise Glaze on stone jug marked S T ? 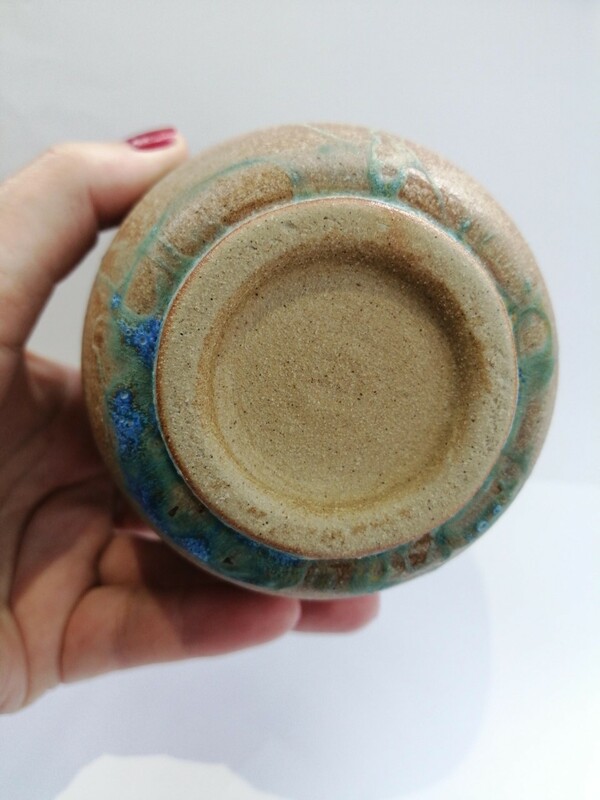 This jug has a lovely Turquoise Blue wash of glaze and a mark impressed into the base of the handle.. At first I thought is was and SK but it looks more like an ST ? Can someone identify this one for me?.. many thanks. 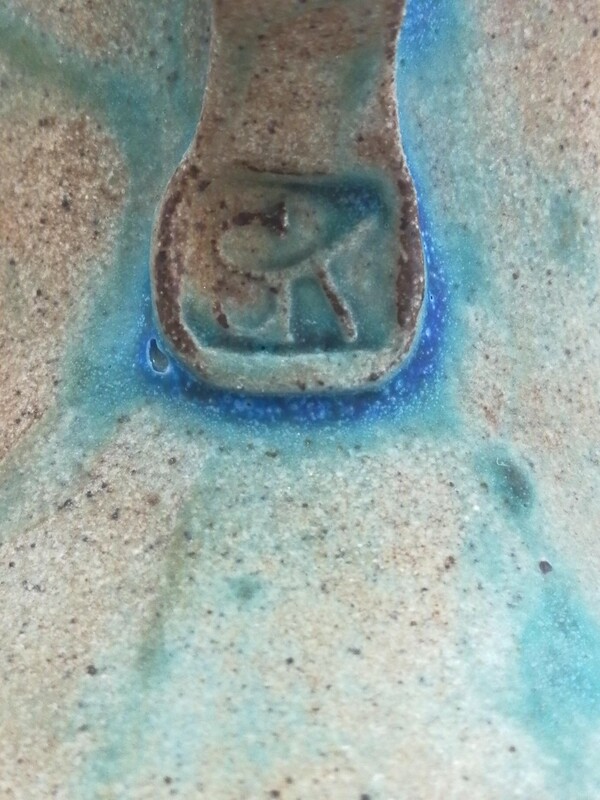 Re: Turquoise Glaze on stone jug marked S T ? Well at least I guess that eliminates the British marks.. Thank you NaomiM..